EARLY DAY'S RECALLED STOURBRIDGE C.C. The Society encourages members to compile publications, in particular those devoted to cricket. While not able to support individual ventures financially, experienced members of the Society will be happy to provide advice and guidance as necessary. Most of the titles listed below have been published locally and privately in small quantities at reasonable cost. The following publications, compiled or written by members of Stourbridge & District Cricket Society, may be purchased at the society’s monthly meetings. To avoid disappointment, please use the contact form to reserve your purchase requirements. Similarly, if you wish to order by post, please contact here. Please note that prices do not include postage. Click on the images for further information. ​Worcestershire’s defeat on day one of a three-day match and tales of a Worcestershire cricket-loving campanologist plus more! A convocation of clergymen who have variously played, administered and chronicled the events of Worcestershire County Cricket Club from its creation to the present day. The author has unearthed more than ninety clerics have served both church and cricket. This publication highlights the careers of some twenty interesting characters, as presented by the author in his Valentine’s Day 2019 ‘Lunchbox’ talk in Great Malvern’s Priory Church. 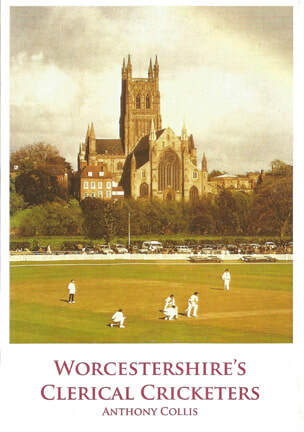 The book includes scorecards with brief notes of all first-class matches played by Worcestershire in the 2017 season, plus details of 50 overs, T20 results WCCC 2nd XI matches, overviews of Birmingham League and Worcs County League seasons and articles associated with cricket in the county, not forgetting 15 pages of comprehensive first-class statistics. Phew! A new book on cricket has been published recently. While such a bland announcement is unlikely to cause more than a ripple of excitement beyond Stourbridge, Ken Slater’s book focuses on the little-known early years of Oldswinford St Mary’s Cricket Club, then in Worcestershire. The secretary of the present-day Oldswinford CC (OCC) has spent much of the past two years scrolling through countless spools of microfiched match reports that have appeared in the local press since the late 19th century. 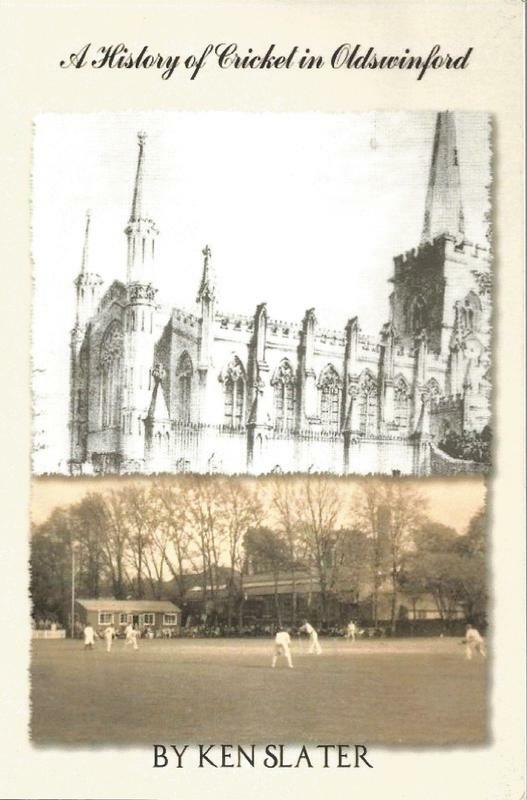 Ken Slater is to be applauded for his diligent research, which he has transcribed into a highly useful record of the early years of Oldswinford St Mary’s CC . The book, priced at £7.95 (add £2 for postage), is available from the S&DCS. Alternatively, please use the contact us link to obtain a copy. ​This second volume of pen portraits brings the total of sports personalities featured by tireless Terry to 114 – and he hasn’t included any women yet! Whereas the first volume (sold out!) featured mostly cricketers and footballers, this follow-up introduces other sports such as athletics, cycling and snooker. The book’s launch at Himley CC, was attended by a dozen featured celebrities and many aficionados of various sports. DON KENYON – HIS OWN MAN – by Tim Jones. 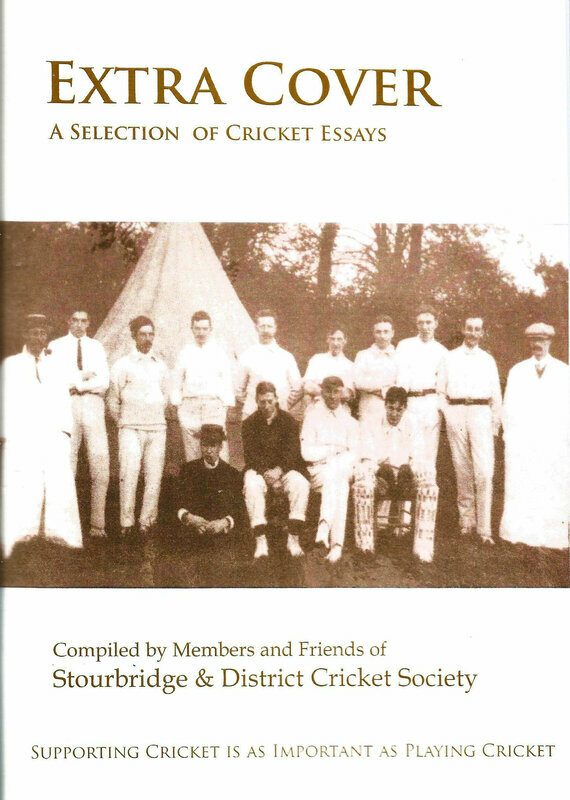 This authorised biography of Wordsley-born, Worcestershire captain, England cricketer and selector and inaugural President of Stourbridge & District Cricket Society was short-listed for the annual MCC / Cricket Society Book of the Year Award. In Wisden’s obituary, George Chesterton wrote: ‘Worcester was probably the only place in the world where the name Don did not immediately conjure up Bradman’. Tim’s work conjures up a superb portrait of the man who captained the County’s first Championship winning side in 1964 and retained it in 1965! This book was compiled to celebrate the Club’s 175th anniversary. It contains pen portraits of 19 Test cricketers who also played for Stourbridge CC, plus five ‘Worthies’ who came close, but represented their country in another capacity – e.g. as an umpire or selector at Test level, or played for a national XI, not designated as a Test team. The book is supported by a number of local businesses that have continue to operate since the mid-19th century. Originally published by the Association of Cricket Statisticians, (#14 of Famous Cricketers Series) this is the complete first-class career record of one of the world’s greatest left-handed batsmen, whose Test career was limited to 23 matches in which his average was second only to that of Bradman (until recently eclipsed by Adam Voges). ​The booklet is one of the last few copies of the author’s stock. A facsimile reprint, published in 2017, by Stourbridge & District Cricket Society. Jack Haden was a well-known journalist with the (Stourbridge) County Express. To mark the Club’s centenary in 1957, he published newspaper reports covering the rebirth of the Club, originally founded in 1842. The reports focus on the period up to 1881 and provide many items that will interest residents and students of local heritage. A unique book featuring the heritage of cricket on the nation’s inn signs! A Bradmanesque total of 334 images are featured with interesting text explaining the picture (where applicable) and fascinating cricket information connected with the location. The book received official recognition by the Cricket Memorabilia Society. Last few copies remaining. This page is limited to publications compiled or written by members of Stourbridge & District Cricket Society. ​If you have a number of books or collections that you wish to dispose of (downsizing, deceased estate etc), please use the contact form and provide an approximate total together with a brief summary of the type of books – e.g. Wisden’s, biographies, brochures, yearbooks etc.